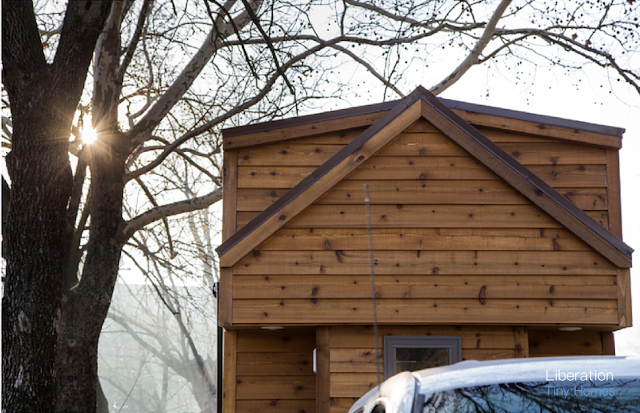 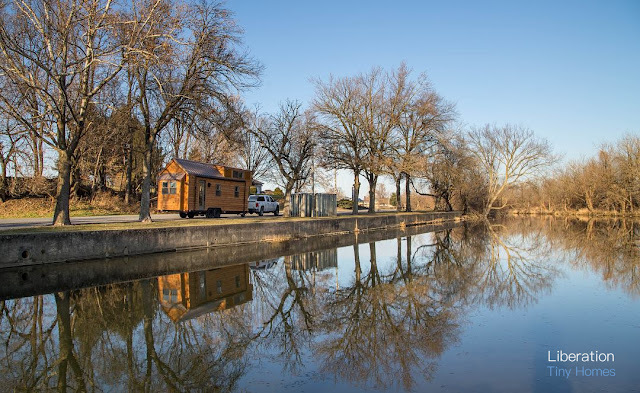 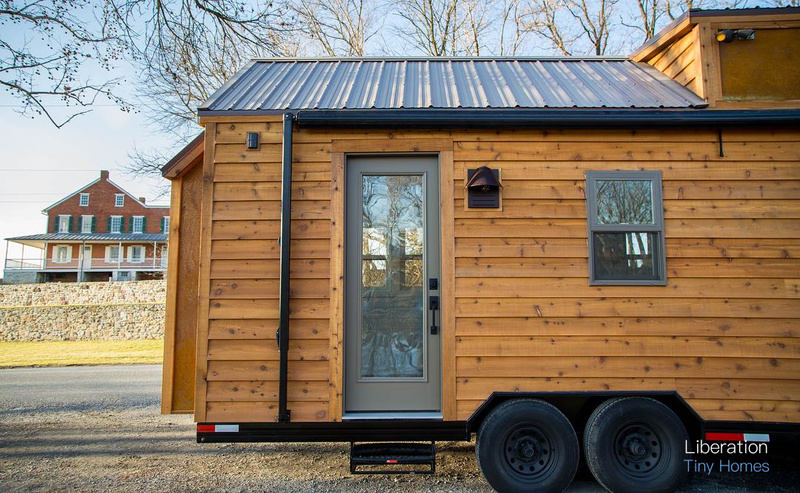 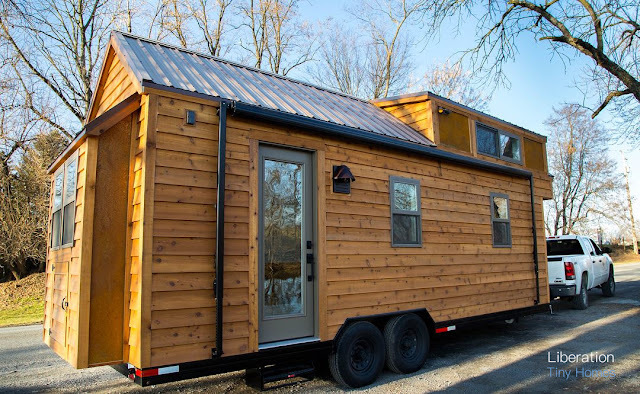 From Liberation Tiny Homes is this beautiful modern/rustic tiny house, inspired by the farmhouses of Lancaster, Pennsylvania! 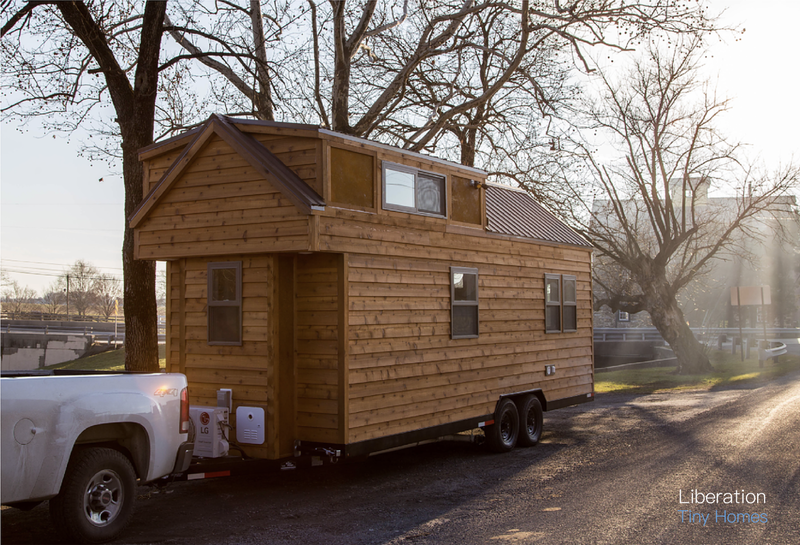 The home is built onto a custom 24' x 8.5' double axel trailer. 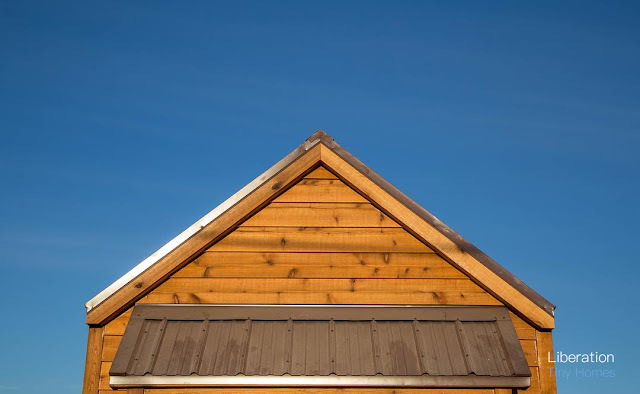 It's exteriror is clad with stained pine with rusted metal accents, a metal roof, and Anderson windows. 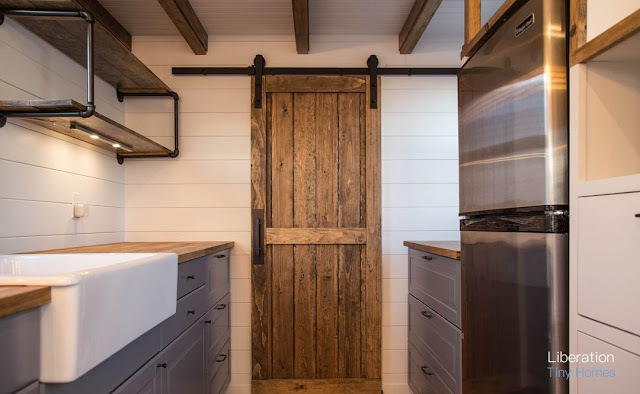 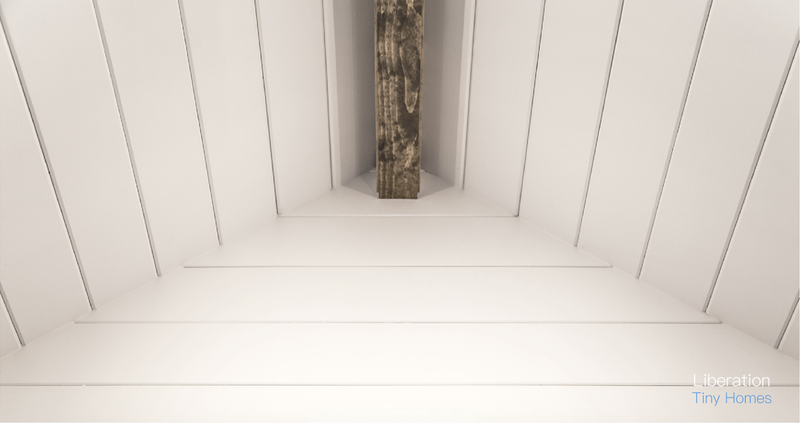 Inside, the home has white shiplap walls to keep the space light and bright. 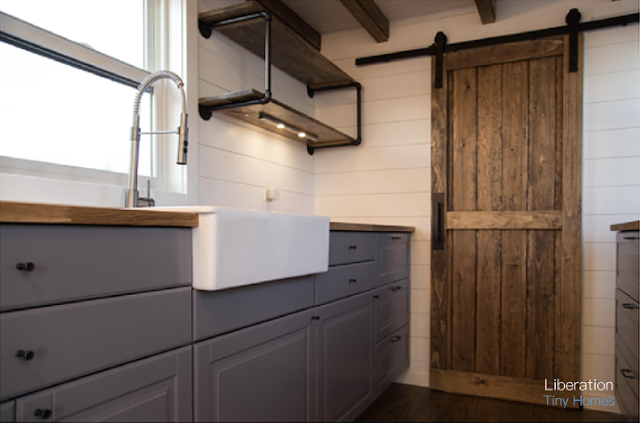 The kitchen features a farmhouse sink, open shelving, and beautiful gray cabinets with plenty of storage! To maximize space inside the home, Liberation added storage stairs to store personal items without cluttering the home. 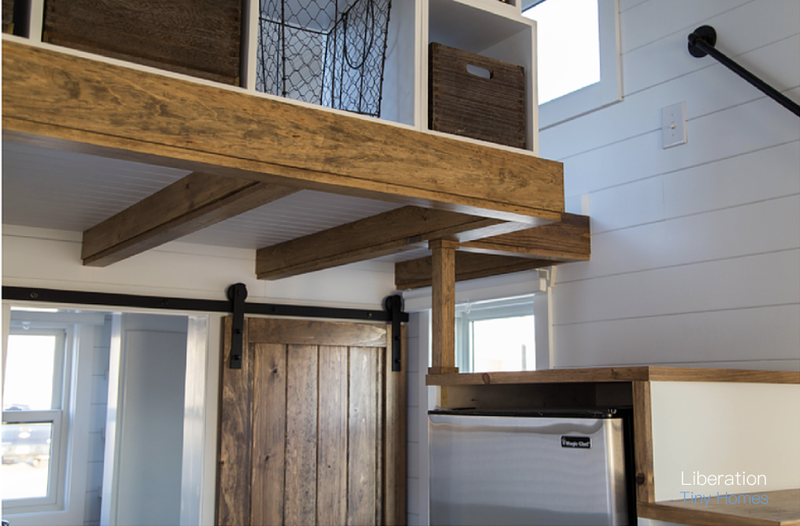 Upstsirs is the homes's loft bedroom has extra shelf space, windows, and enough room to comfortably sleep up to two people! 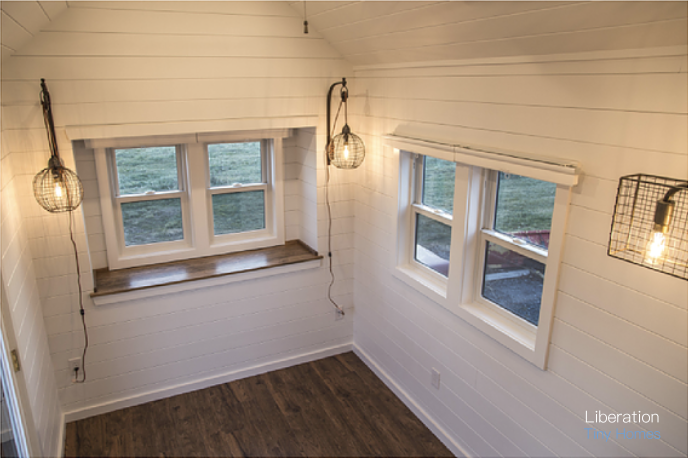 There's also a ductless mini split for heating and A/C to keep the home's interior temperature comfortable at all times! 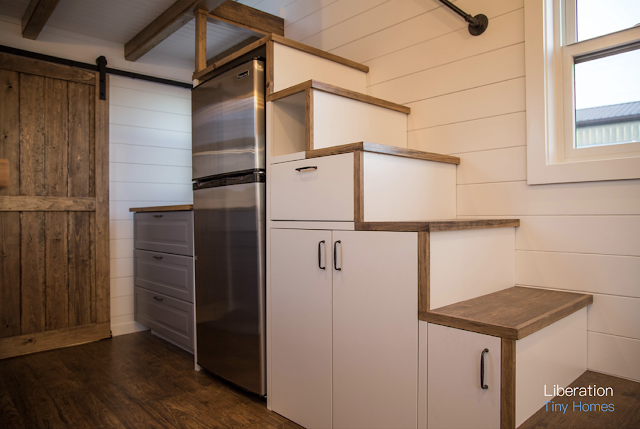 For more information and/or inquires about this home or the builder, contact Liberation Tiny Homes here!